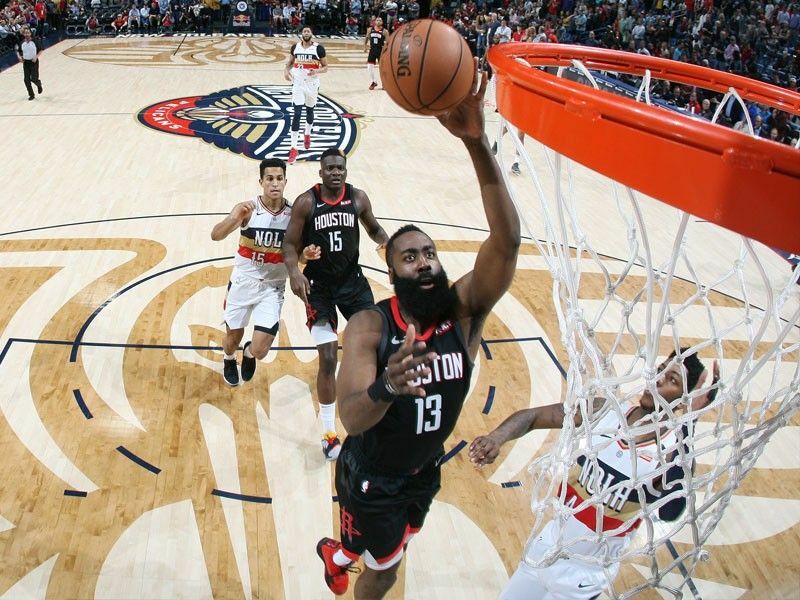 James Harden of the Houston Rockets shoots the ball against the New Orleans Pelicans on March 24, 2019 at the Smoothie King Center in New Orleans, Louisiana. LOS ANGELES – James Harden delivered 28 points as the Houston Rockets punched their ticket to the NBA postseason with a 113-90 win over the New Orleans Pelicans on Sunday (Monday Manila time). NBA scoring leader Harden exploded for a career high-tying 61 points in a win over San Antonio on Friday after netting 57 points in a loss to Memphis on Wednesday.